~Just a week or so after losing 5th year cornerback Davon House to the Jacksonville Jaguars, the Packers today lost their best cornerback Tramon Williams. Williams, who just turned 32, signed a 3-year, $21 million deal with the Cleveland Browns. What was nice cornerback depth last year has now turned into an area of concern. The Browns have signed veteran defensive back Tramon (pronounced: trah-MAHN) Williams, general manager Ray Farmer announced Monday. 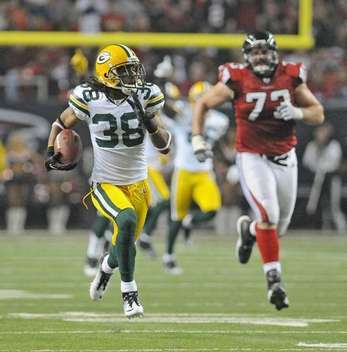 Williams, 32, comes to Cleveland as an unrestricted free agent after eight seasons with the Green Bay Packers. Williams joins a Browns secondary that was among the NFL’s best in 2014. The unit placed three players — Joe Haden, Donte Whitner and Tashaun Gipson — in the 2015 Pro Bowl, led the league in opponents’ quarterback passer rating (74.1), completion percentage (57.1) and passes defensed (99), while finishing second with 21 interceptions. Williams (6-0, 192) has missed just one start over the past five seasons, has started 99 games over the past eight years and appeared in 127 games overall. Since Williams’ first career start in 2007, only All-Pro Darrelle Revis has more passes defensed than Williams’ 115 and only Cleveland’s Joe Haden has more passes defensed since 2010 than Williams’ 82. Williams, a Houma, Louisiana, native who attended Louisiana Tech and entered the league as an undrafted free agent with the Houston Texans, was signed to the Packers’ practice squad for the final five weeks of the 2006 season. He landed on the active roster one year later and appeared in every 2007 regular season game. He’s been sidelined for a regular season game just once throughout his eight-year career and played in 72 consecutive games until he missed Week 2 of the 2011 season with a shoulder injury. Williams’ breakout season came in 2008, when he intercepted five passes, notched 14 passes defensed and recorded 49 tackles. Since 2008, Williams has recorded no fewer than two interceptions in a regular season and has 28 for his career. Since he became a full-time starter in 2008, he ranks second among NFC players in interceptions, trailing only Asante Samuel. Williams’ 2010 season was one of his most productive, as he led the Packers with 20 passes defensed and six interceptions while landing a spot on the Pro Bowl roster. He added three more interceptions during the Packers’ Super Bowl XLV run, a mark that tied Green Bay’s franchise single-postseason record, to lead the NFL with nine overall interceptions. Williams also served as a kickoff and punt returner during the early part of his career, returning a combined 92 and recording a punt return touchdown during his rookie season. He’s one of just three players since 1970 to post a 90-yard punt return to go along with interception and kickoff returns of 65 yards during his career. On top of his 28 interceptions, Williams has 373 career tackles, 115 passes defensed, five forced fumbles and eight fumble recoveries.